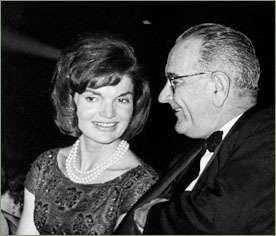 Jacqueline Bouvier Kennedy: Mr. President? JBK: Oh, no, you are so nice, and you've done everything you could. ... Thank you so much.. ..
JBK: Gosh, I thought you'd get some rest when you went home, but you did more than you do at the White House! ... You should go to bed.